Updated: I just post this article before an hour. And Feedburner reconsidered me :D Google's Feedburner already solve my problem. I recover my all kind subscribers. Look at the following graph and see how it grow up. How the graph line droped directly from the top? I haven't checked my Feedburner account before this problem. Then, I checked Google's official Feedburner Blog. 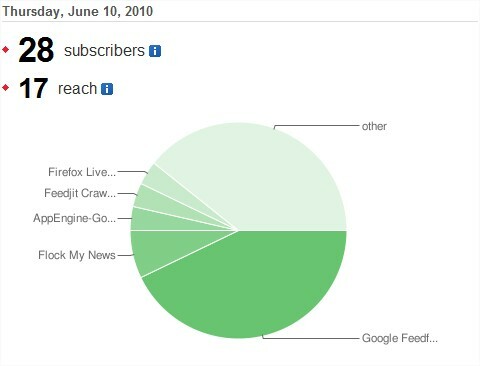 It was written there, Subscriber counts may appear lower than normal in publisher reports because of missing Google FeedFetcher reports. All subscribers are still receiving the feed, this only effects the reporting number in the publisher dashboard and the awareness API. There are no issues with feed delivery for text feeds or podcasts. Later, I understand the problem is in them not in my blog :D The remaining 28 subscriber is from Google and other popular browsers. You don't have to worry if you have same problem as mine. Feedburner is changing their method of calculating subscribers to use internal Google APIs between FeedBurner. So, they take time for maintenance. We have to be patience. It happens not at all. Hope Feedburner will recover all of my previous subscriber soon. Now, that is only the thing to expect from Feedburner.